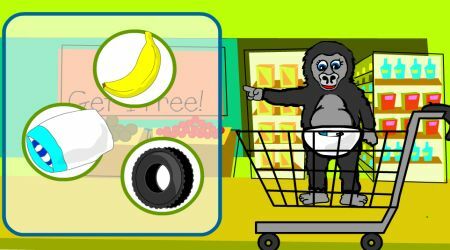 Click on the arrow to start the game. 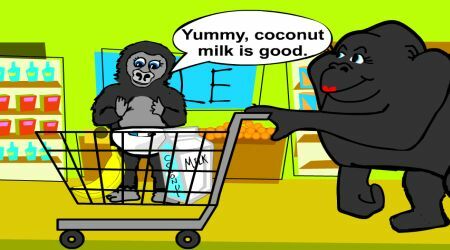 The mommy gorilla will ask you to choose the right food for her baby along the way. Click on the item that you think is best. Click the arrow to move on to the next question.